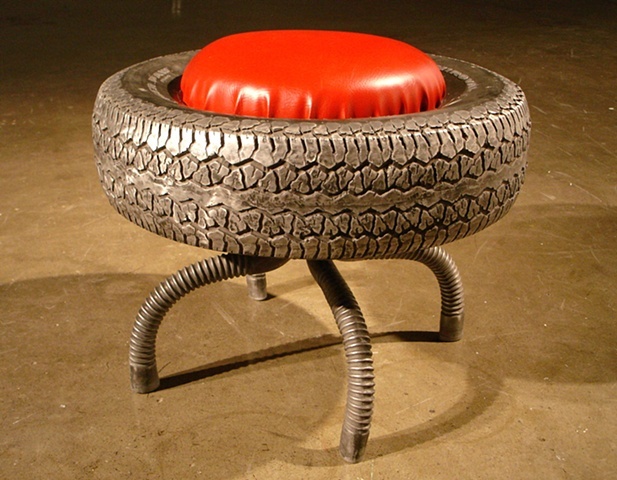 22" X 28" X 28"
Tire Stool was created with a tire and an air hose that were found in a junkyard. The legs of Tire Stool are solid castings of the air hose, that are connected to the bottom of the hollow cast aluminum tire. The seat is built on a framework of wood, foam, and vinyl. I made a series of three Tire Stools, which were the centerpiece of one of my solo exhibitions for the visitors to rest while enjoying the show.